The Villa Arianna is one of the oldest villas in Stabiae, dating from the second century BC. 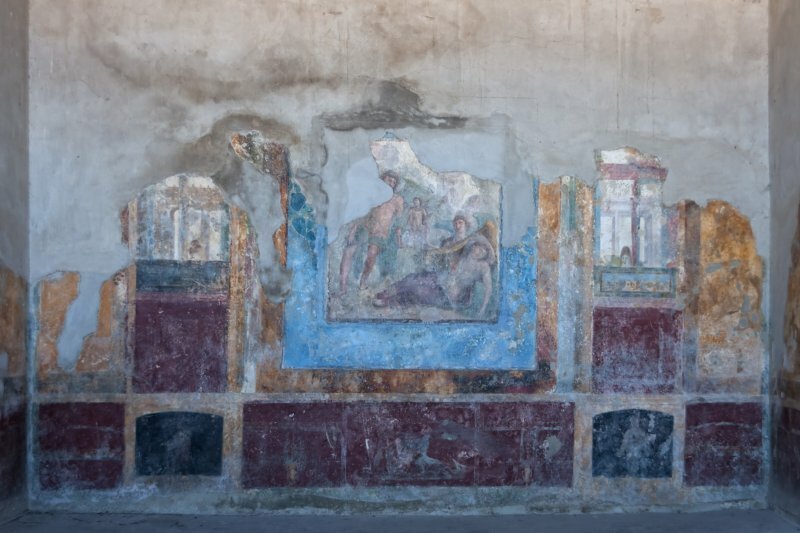 This villa is particularly famous for its frescoes, many of which depict light, winged figures. It has one of the largest courtyards of any Roman villa; measuring two stadia in length. Another feature of Villa Arianna is its private tunnel system that links the villa in its location on the ridge to the sea shore, which was probably only 100-200m away from the bottom of the hill in Roman times.